This panel will focus on African politicians. It aims to identify their profiles, biographies, and careers across times. It aims to offer original data, and discuss new methodological approaches. 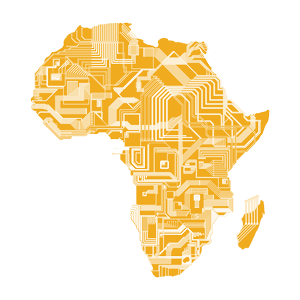 Since the 1990s, the African continent has been marked by major changes such as economic reforms or democratization. But we still know very little about male and female politicians who have succeeded the leaders of independence. Available data and researches are uneven across parts of the African continent. This panel aims to identify who are the current African politicians. It will focus on elected and partisan political figures (members of council, parliament, government or party) from any African country. Three points will be given priority: - First, we expect proposals analysing the socio-biographical characteristics of African politicians, and its evolution. Studies based on quantitative methods or on prosopography will offer data on the profile of former or current politicians (i.e. gender, age, marital status, degrees, profession, activism, partisan affiliation, family background etc.). Did literate male elites of independence disappear in favour of other categories of population (such as women, traders, slaves or religious)? Is there prevailing political figures across times? Under which conditions some changes have orccured? - Secondly, we will focus on political careers. How do politicians enter politics, and carve out a career? Are they based on individual or collective (family, party-delegated, etc. ), national or international capital? Are they professional politicians? - Finally, we will debate methodological issues. How to do research on African political staff? What sources are available? How to analyse some public and private writings (official publishing, biographies, memoirs, etc.)? What obstacles do researchers face to produce statistics, or prosopography?